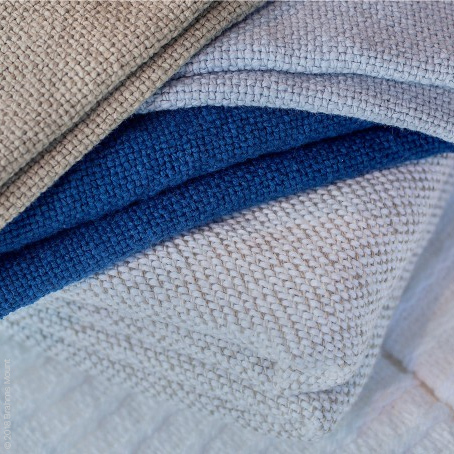 Brahms Mount Milo Blanket is created with a flat oxford weave with a solid color ground and fill. Finished with a true selvage and double hand-turned hem. 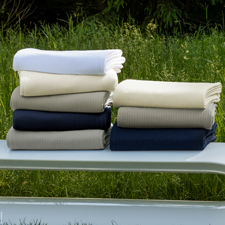 Brahms Mount Milo Blanket is created with a flat oxford weave with a solid color ground and fill. Finished with a true selvage and double hand-turned hem. 100% U.S.A. cotton Many colors Made in the U.S.A. Wash separately in cold water, gentle cycle. Liquid detergent without bleach or brighteners. Tumble dry delicate setting, low or no heat.